Filipinos love sweets, and this is proven by our love for sweet delicacies ranging from rice cakes to preserved fruits and jams. However, Pinoys have large risk of contracting diabetes, with about 1.4 million Filipinos suffering from diabetes mellitus. As such, artificial sweeteners and sugar substitutes can be very appealing to people looking to cut their calories or control blood sugar. Studies have shown that artificial sweeteners can be bad for the health. But nature has provided more alternatives that can give us guilt- and worry-free indulgence to our favorite sweet treats. Coconut palm sugar has garnered attention not only in the international scene but locally as well for reportedly being a low-carb sugar substitute and more nutritious than typical table sugar. 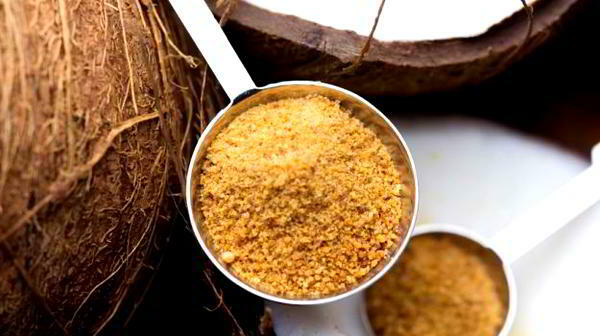 Pure coconut palm sugar is a natural product made from nectar or sap of the coconut palm tree. According to studies, coco sugars has a naturally low glycemic index (GI) which has led some to claim that it is a valuable sugar substitute for people with diabetes or those looking to control blood sugar. GI is a measure of how sugar-based food impacts blood sugar, wherein high GI foods causes rapid rise in blood glucose levels in humans. Aside from the low-GI content, palm sugars also offers health benefits as it contains other elements needed by the body such as potassium, phosphorus, nitrogen, magnesium, among others. As the demand for alternative sugars increases, a team of researchers led by Dr. Lydia Manguiat of DOST-Calabarzon, has found another healthy substitute in kaong palms (Arenga pinnata). Kaong palms or sugar palms are best known for its fruit processed into salad ingredient and the popular kaong vinegar. A recent study under the “Development of Low GI Palm Sugar” Program, researchers found out that kaong sap contains a GI value of 40 which is five points higher than coco sap sugar. “While a tad higher compared to coconut sap sugar, kaong sap sugar is still categorized as low GI foods,” said Dr. Manguiat. According to Dr. Manguiat, kaong sap sugar has been in existence ever since, especially in Cavite and Quezon are. It is served as a local delicacy in the form of pakaskas. “With its distinct caramel taste, the local palm sugar can be developed into a high-value commodity, as well as its by products,” she added. According to CavSU’s studies, a single kaong plant can produce 2500 liters of sap which totals roughly to about 1000 kg of sugar per hectare. “The program will greatly enhance the palm industry, which can help our local farmers augment their income as well as providing healthy options to sweet lovers,” Dr. Manguiat claimed. Aside from kaong, other local palms such as nipa and buri are being studied for their sugar production potential and other by products such as syrups and vinegars.